TAIPANS skipper Cameron Gliddon is a West Australian by birth but says it would be special to bring a Commonwealth Games gold medal to his adopted home of Cairns. 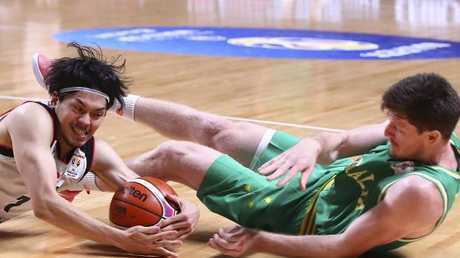 The shooting guard is the sole Snakes representative in the Australian squad for the Games, with Mitch McCarron missing out after he signed a short-term deal with Slovenian team Olimpija Ljubljana. The Australian Boomers will play their preliminary matches at the Cairns Convention Centre before the medal rounds of the 2018 Commonwealth Games turns to the Gold Coast. 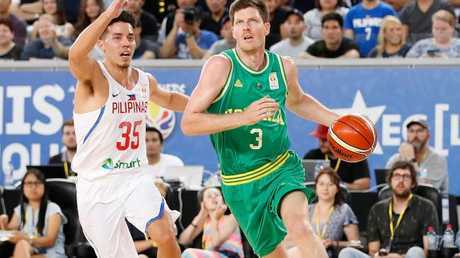 Gliddon, 28, who is coming off a joint-MVP winning season with the Taipans, says the Boomers are aiming for gold after winning the FIBA Asia Cup last year. Ryusei Shinoyama and Cameron Gliddon. Picture: Sarah Reed. "To win the gold at the Commonwealth Games would be amazing," he said in a video released by Cairns Airport. "To do it in front of family and friends and bring it back to Cairns, which I have called home for six years, it would be a proud moment. "My best memory in the green and gold is winning gold at the FIBA Asia Cup. "It was (one of) the first Australian senior men's gold medals and I am very proud to have been a part of that." This is the second time the basketball competition will be held at the Commonwealth Games after the Boomers beat New Zealand to win the gold medal in 2006. Australia are red-hot favourites to win the men's and women's gold medals, with New Zealand expected to provide the toughest opposition for the Boomers and Opals. 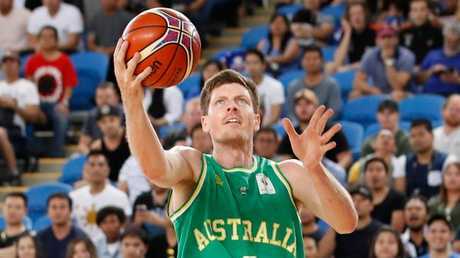 Boomers coach Andrej Lemanis has named an NBL-based squad with Nathan Sobey, a former Cairns Taipan, also set to play. 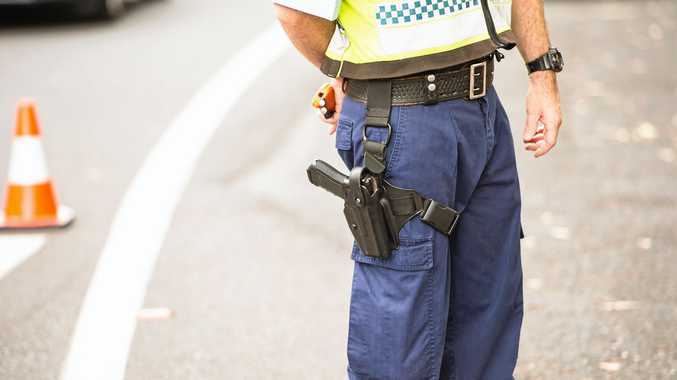 Gliddon said it had always been his dream to represent Australia. "The first time I watched the Boomers play was probably the Sydney Olympics in 2000," he said. "I remember living in Perth, in our lounge room, thinking, 'I hope to do that one day'." 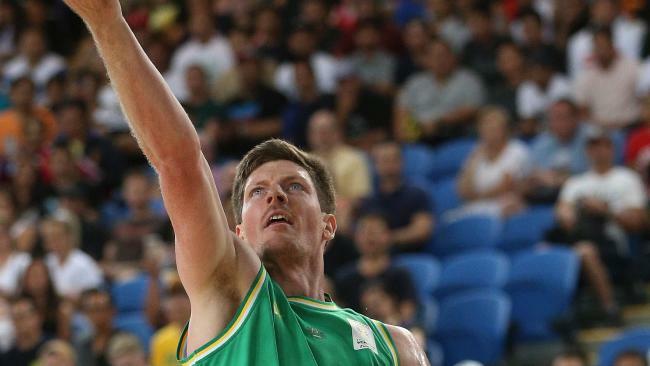 Brad Newley is the only Boomer to have competed at the 2006 Commonwealth Games and said he was honoured to be announced again to represent Australia. "To be named to pull on the green and gold (once again) is truly special," Newley said. "We have seen the strength of these players throughout the NBL season this year and I believe we will all work together strongly. "A Games on home soil is a great thing, I got to experience it in Melbourne in 2006 but I know all the boys are looking forward to it."